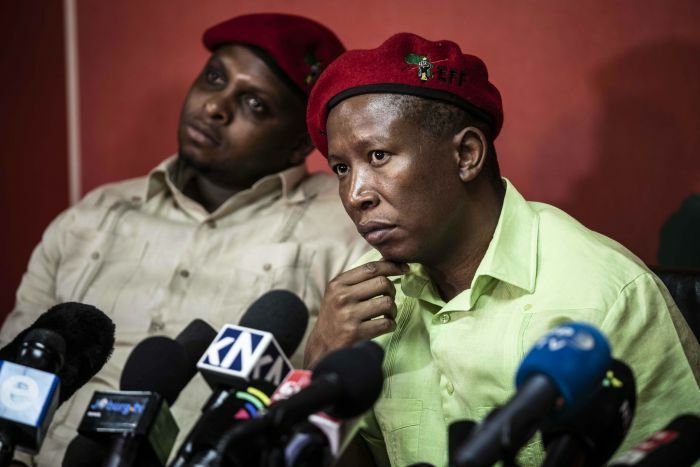 Rumours are flying that Herman Mashaba’s DA-led City of Johannesburg handed authority over lucrative tenders to the EFF in a deal to get the city’s budgets passed, says Micah Reddy, an investigative journalist at amaBhungane. What we do know for sure, according to Reddy, is that before winning a massive deal from the city, fleet firm Afrirent paid R500 000 to Mahuna, a company fronted by Julius Malema’s cousin and used as a “slush fund” for the EFF and Malema. Of five bidders that went through final scoring, Afrirent scored the lowest by a wide margin. It was awarded the work at a fee of R1.26 billion. Malema’s cousin, Matsobane John Phaleng, sole director of the company to which Afrirent made the payments, claimed it was for services rendered but would not, or could not, name the services when asked. Click here to read Reddy's far more detailed account for Daily Maverick (entitled "Firm that won R1bn Joburg fleet contract paid Malema-EFF ‘slush fund’"). The Money Show’s Bruce Whitfield interviewed Reddy and Johannesburg mayor Herman Mashaba. The Money Show’s Bruce Whitfield interviews amaBhungane Centre for Investigative Journalism Investigative Journalist Craig McKune.